TPB Back Issue Classics Episode 61 is here! Mike and A Das Baron return to Eternia and the Eternity War from DC Comics!... This dynamic duo go through issues 7 and 8 of the latest He-Man comic series and spoil everything! We talk about how disjointed these 2 issues seem to be. Quite the opposite to our last episode. We also talk about the fact that it seems as if two stories are being told by two different people, and so much more! 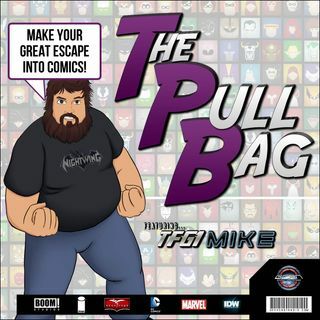 So grab some roast gooble, and listen in as we continue the ... See More Masterful He-Man and She-Ra Talk here inside The Pull Bag!